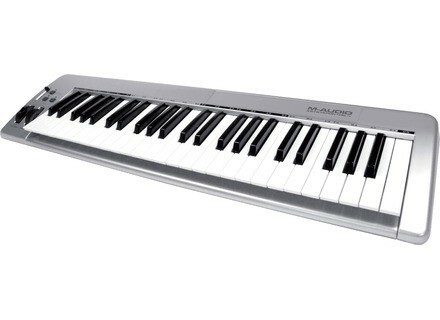 Keystation 49e, 49-Key MIDI Keyboard from M-Audio in the Keystation series. James...'s review"Keys feel cheap but then again..."
This is a really cheap 49 key board. Features? What features? It has a mod wheel and that's about it. This is truly a product geared toward budget studios. That's exactly the application I bought it for way back when. I was starting up a studio and needed a good USB keyboard to play instruments. I didn't need any frills or crazy controls. This one has none. The price was right so I got one. Setup is easy enough. Just install the driver and plug it in. M-audio generally has pretty good drivers. Any issues I've had with them have always been my own error. No need for a manual since this thing is literally a piano and nothing more. I guess it would be nice if there was a velocity selection. It's not like it matters though. This is truthfully a beginners unit. The price and features reflect that. My big gripe with this keyboard, has to be the keys themselves. Yes I understand that this is a very cheap and budget unit, but you would think that for what we lose in features, we could get some good keys. Or some decent keys. They are advertised as semi weighted I believe but they don't feel like it. This keyboard is comparable in feel to those $50 Wal mart keyboards you buy for your daughter at Christmas. I have used a few other M-audio keyboards like the Axiom series and I must say the key quality and feel on those is much much better. The difference in price makes it worth it imo. I suppose though if you are a beginner and you don't care about the feel, this is a fine studio unit. I mean it gets the job done. Never junked out on me. I wish M-audio would make a no-feature keyboard with good keys though. I don't need all the crazy knobs that the axioms have and would like one of those with good keys alone. I guess a good way to sum up my thoughts is that I am upset with the quality but for the price I really don't feel right complaining. You get what you pay for. When I bought the M-Audio Keystation 49e I was looking for a simple MIDI controller that I could hook up to my computer to control various virtual instruments. It connects to your computer USB and both pitch and modulation wheels. 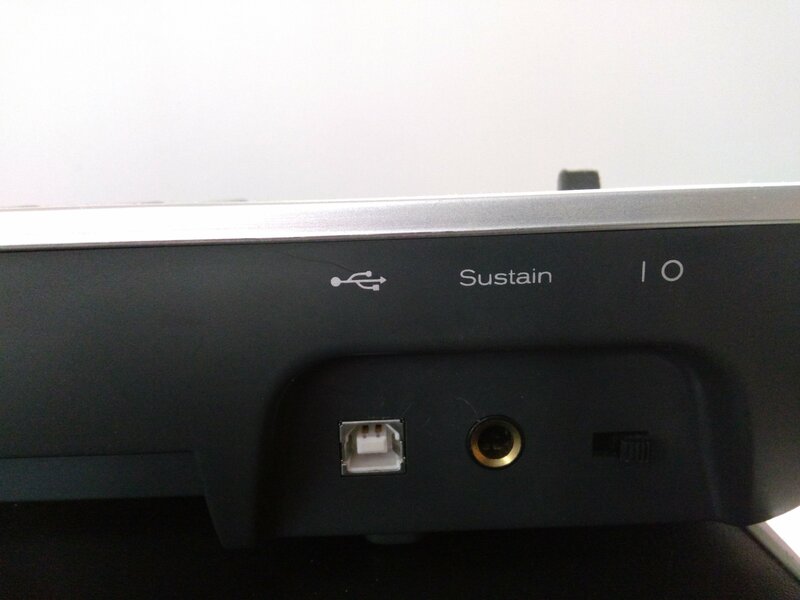 It has an output for sustain as well. The action of the 49e is pretty clean. While I am not a keyboard player by trade, it feels good to play and is easy to control overall. I like the configuration of this controller because it is easy and to the point. It works exactly what I use it for and works without problem. I am running this on a Mac Book Pro that has a 2.2 Ghz Intel Core 2 Duo processor and 4 GB of RAM. I run it both in Logic and with stand alone plugins like Native Instruments Elektrik Piano & B4. I don't have a manual so I don't know how thorough it is, but if you can install it without any issues, it should be pretty smooth sailing. I've had the Keystation 49e for about three years and it has done everything I bought it for. I am able to control virtual instruments at ease, providing me with a MIDI work station with vase capabilities. 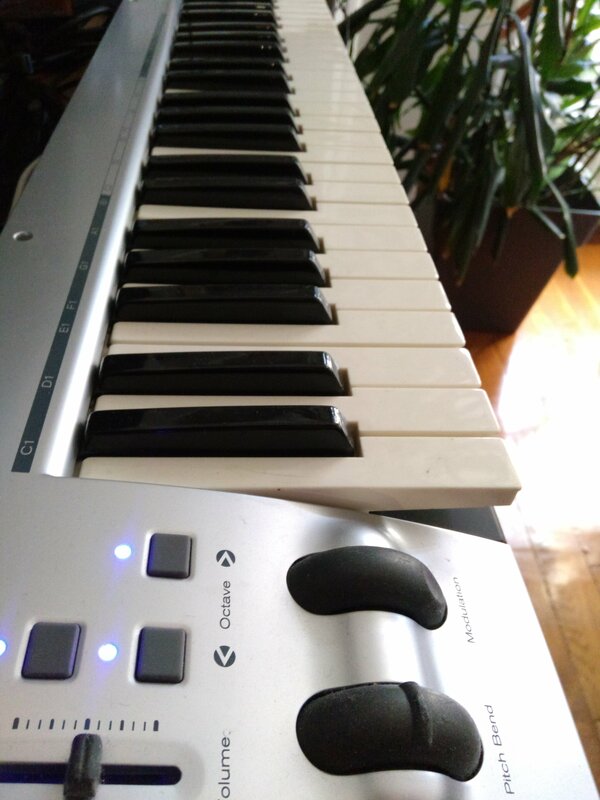 I also have an M-Audio Oxygen 8 and while that has more parameters, I prefer having the extra keys on the 49e and the parameters on the Oxygen 8 really just makes things from confusing in my opinion. 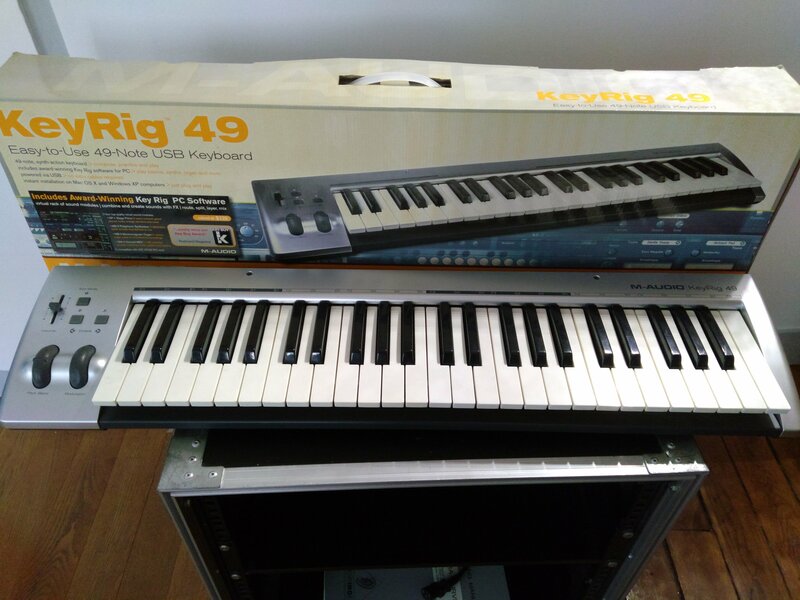 The price of the 49e is one of the best parts, as just about anyone can have a great sounding MIDI keyboard rig with this a few virtual instruments at a very reasonable price. I'm extremely happy with this product and recommend it as a cheap solution for those looking to explore MIDI on their computer. Its not supposed to have knobs and sliders so there isnt anything missing. it allows you to change octaves for those who are worried that the keys may not be enough, so you can play higher or lower. It has a pitch bend wheel and a modulation wheel, along with a volume slider. You just plug in the usb cable and you're set. if you have windows you dont even need drivers. cant get much easier than that. Solid enough to not get damaged, unless you try to do something intentionally. the keys should hold up very well under normal playing. It does exactly everything I want it to do. works perfectly with my native instruments plugins and any other plug in i throw at it.